10. Tidy Liquid Dispenser: Years ago I had found a really neat dispenser that mounted on the wall and held these liquids. You simply refilled them when they got low. It is brilliant, works like a charm, and can be mounted permanently to the wall. The price is fairly reasonable (ranging from $15 to around $60) and it is relatively attractive. There are several other models and styles available that hold anywhere from one liquid to four. Offered in many different styles to fit with your decor, finishes in chrome, bronze, and white plastic help to blend into your overall bathroom scheme without being an eyesore. 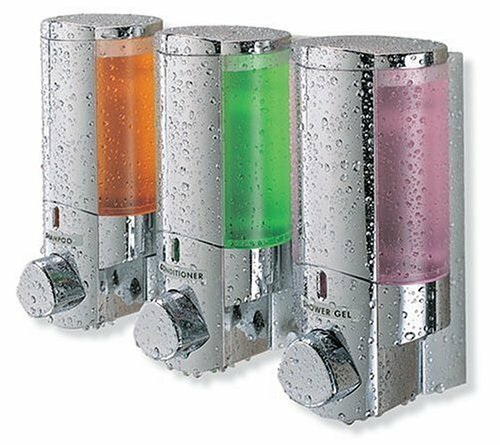 Additionally, many of the dispensers have added features such as hooks or mirrors for increased functionality further reducing the clutter typically found in the shower area. 9. Collapsible Tea Kettle: I love to have a tea kettle because they come in handy for so much. I heat water for tea, coffee, instant soups, and for my hot water bottle (see #4). However, traditional tea kettles take up too much space. Have you ever seen one that collapses? 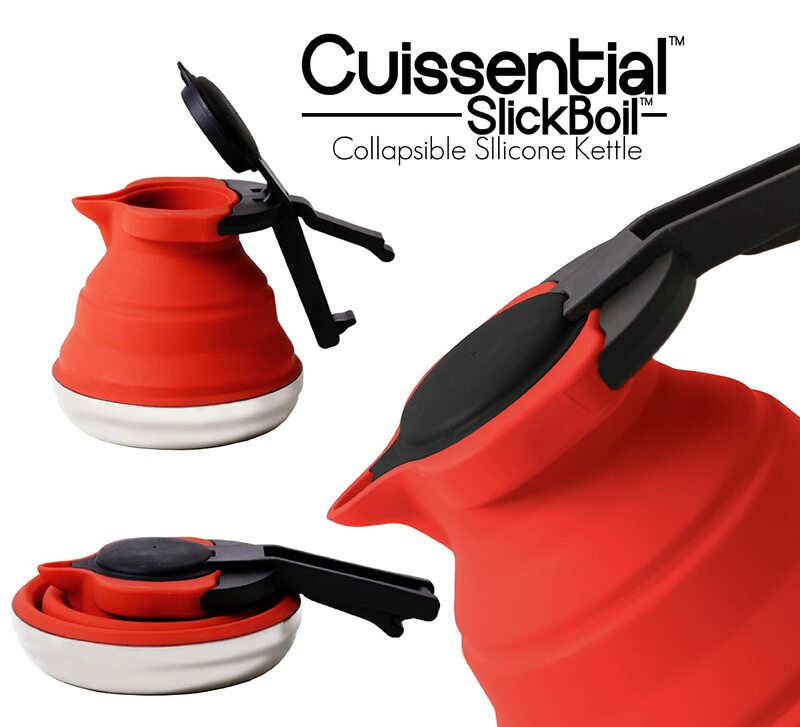 Check out the SlickBoil collapsible kettle by Cuissential. Collapsing down to less than 2.5 inches, the SlickBoil takes up the least amount of real estate of any kettle and has a sleek design that will look great when sitting on the stove or counter. The SlickBoil boils up to 32 oz of water (4 cups). This kettle is perfect for your Tiny House tiny kitchen. 8. Collapsible cookware: Collapsible cookware is just what it sounds like: the cookware collapses down to 1/3 to 1/2 of it's expanded size. This reduces the amount of space that it takes up in storage. 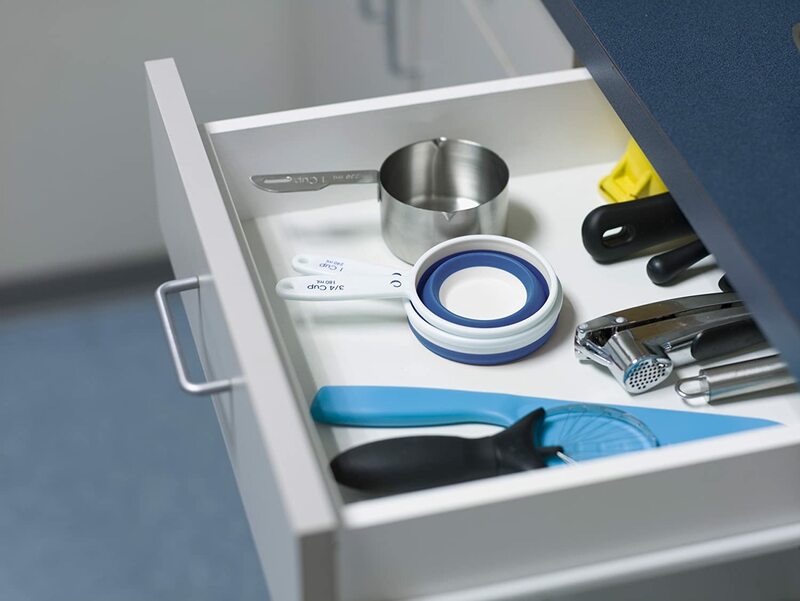 In the case of measuring cups and spoons you can hang them on the inside of doors or on a flat surface. Silicone is easy to clean as well. Silicone is durable, doesn't rust, and doesn't leave a taste in your food. 7. 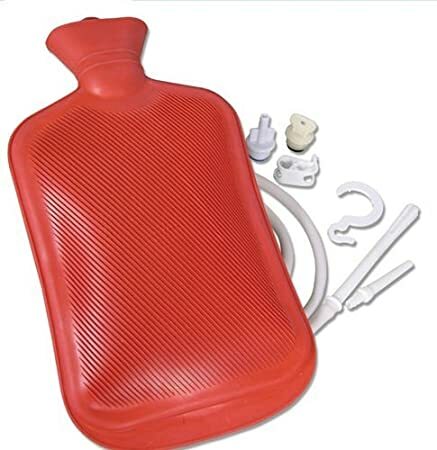 Hot Water Bottle: The old standby, hot water bottles have been around forever. They are fantastic for sports injuries, arthritis, earaches, headaches, migraines, menstrual cramps, gout, and achy muscles. Some come with attachments (hoses and such) that allow for gravity flow for douches and enemas. A must have in every first aid kit, they can also be used with a hose as a way to flush a wound with clean water. They can be used with hot or cold water, allowing for it to become a heat pack or an ice pack. But, of all the reasons for a hot water bottle, filling it with hot water on a cold night to take to bed with you is the best! It eases the days stress away, keeps cold feet warm, and helps supplement the natural body warmth to warm up a cold bed quicker. A hot water bottle will help you fall asleep faster and get a more restful nights rest on a cold night. Lots of clever, practical, and cute fabric and fleece covers are available so that the rubber or silicone of the bottle never has to touch your skin. I have, and recommend, having at least two hot water bottles, ideally one for each person in your household. 6. Reusable Produce and Grocery Bags: Doing your part for the environment, using reusable produce and grocery bags greatly reduces waste every year. This simple change to your shopping routine will make a huge impact on the amount of trash you contribute to landfills. 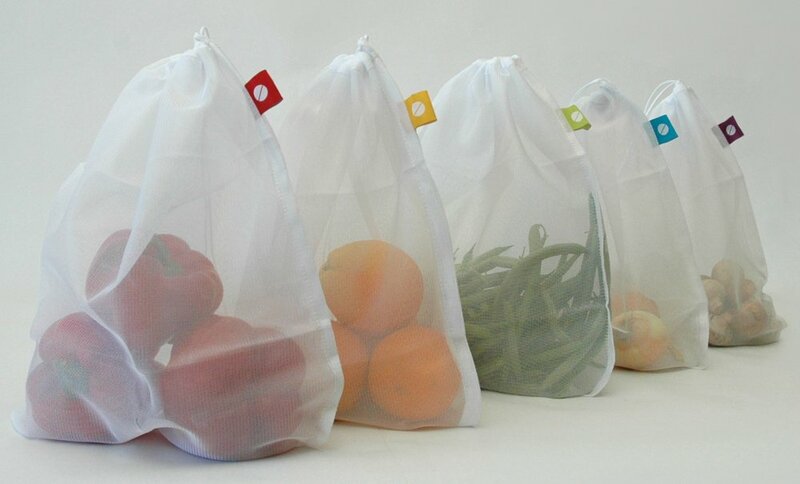 Mesh bags (as shown in picture) are great for produce as well as storing smaller items around your Tiny House. Reusable grocery bags come in so many shapes, colors, sizes, and price points, there really is no longer an excuse not to use them. I have mine color coded so as to avoid cross contamination (meats go in red bags, produce in green, frozen foods in blue, dairy in white, etc.) and facilitate putting foods away (I know frozen foods need to be put away first, etc.). The initial investment in good bags is well worth it over time. After putting my groceries away, I immediately return the bags to the trunk of my car so I will conveniently have them the next time I go shopping. "For generations we've had to put up with harsh chemical smells to get a good clean. Enter Mrs. Meyer's Clean Day. A collection of household products made with essential oils from flowers and herbs that smell nice, but really pack a punch against daily dirt and grime. Our garden fresh scents include Lavender, Lemon Verbena, Basil, Geranium and many others. All are earth-friendly, cruelty-free and not tested on animals." 3. Dyson DC56 Vacuum: Check out the Dyson Hard DC56 Cordless Vacuum Cleaner. It is a vacuum AND a wet wipe in one, removing both dirt and grime in a single action! It, of course, comes with Dyson’s patented Root Cyclone technology and is powered by the Dyson digital motor V2. It’s the only vacuum cleaner to combine powerful, constant suction and a wet wipe. Double-edge cleaner head: DC56 has a double-edge cleaner head that combines suction and wet wiping to remove dirt and grime at the same time. Dual vacuum suction channels provide suction before and after the wipe. A swivel neck allows the double-edge cleaner head to be guided into awkward places with a turn of the wrist. Powered by the Dyson digital motor V2, the Dyson digital motor sits at the heart of DC56. It spins up 3 times faster than conventional motors, enabling powerful constant suction. Dyson Wipes: DC56 comes with 9 Dyson Hard floor wet wipes – designed to remove dirt grime from hard floors, including hard wood vinyl, glazed tiles, laminate, polished marble and polished granite. I am thinking I could actually crochet or sew reusable pads for this, but I haven’t looked into it. Cleans down below: DC56 has a low-profile cleaner head for easy cleaning under furniture and counters. It stays flat to the floor when the machine is fully reclined. 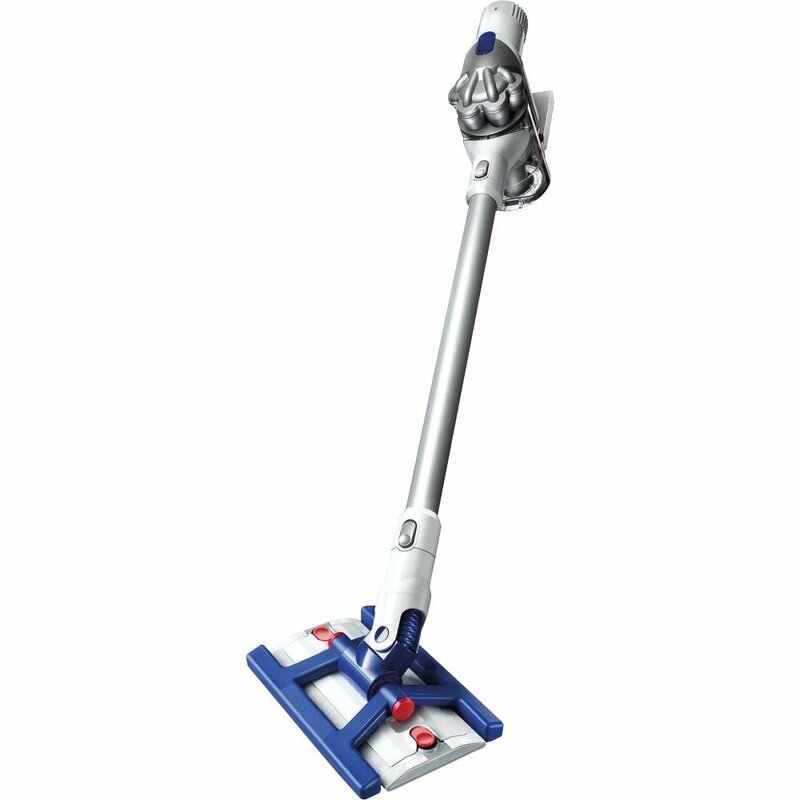 Cleans up top: DC56 comes with crevice and combination accessory tools, which attach to the wand for easy high-reach cleaning. 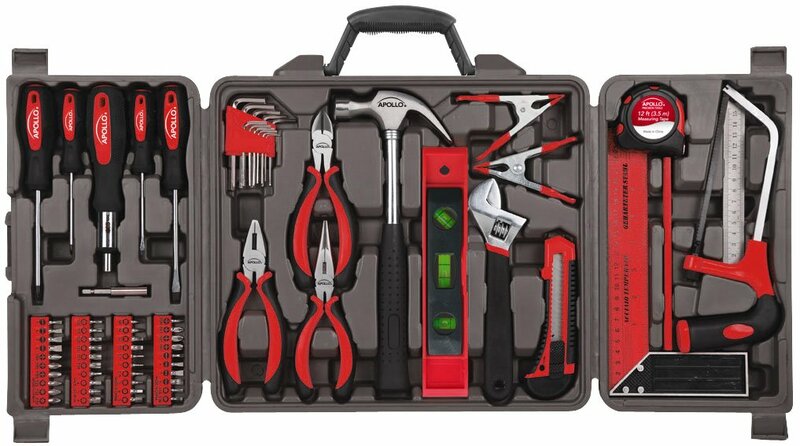 With its additional tools, DC56 can also be used as a handheld. Screw Drivers, both Phillips and Flat Head in assorted sizes and lengths. "This enlarged, updated, and expanded third edition of the classic reference on home systems and materials includes the latest code information, new full-color drawings, and a completely new section on making your home green. The Visual Handbook of Building and Remodeling is an established standard reference for DIY homeowners, as well as builders, contractors, and architects. The 1,600 full-color drawings provide a clear look at every aspect of home construction and systems, enabling the reader to visualize exactly how to tackle any building project or problem. All the information is presented in straightforward language anyone can understand." 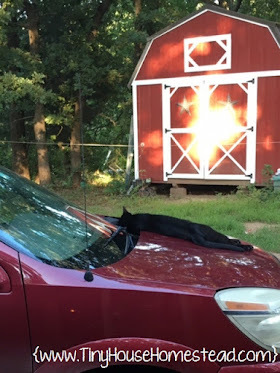 Karin, I really enjoyed this blog! Several years ago we moved from a fairly large house to a smaller one and our huge collection of books had no where to go. 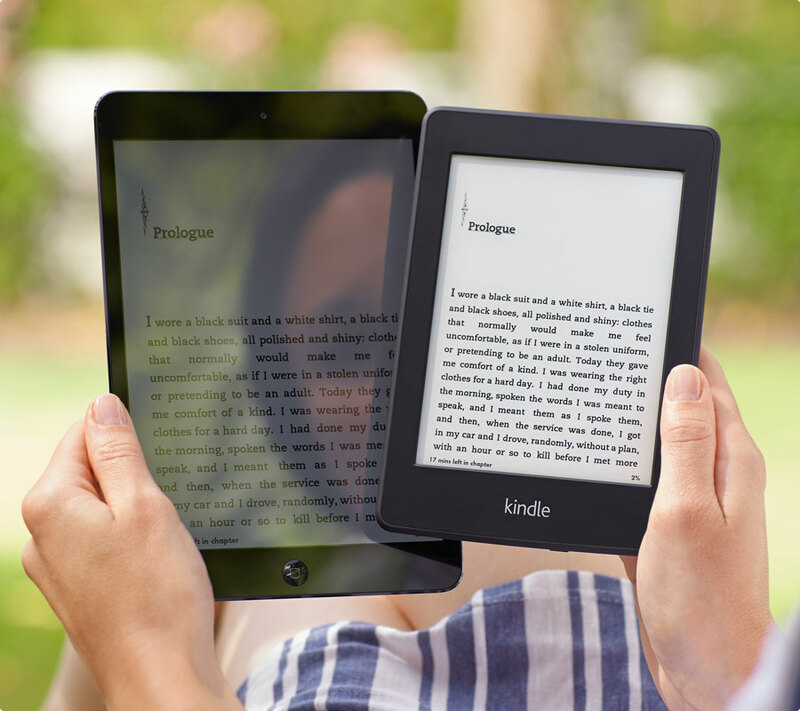 That's when I invested in a kindle. I love reading books, but I simply didn't have space for any more. I think that one is the best tip - but then again, I'm a reader. I really like the soap dispenser one too. Plus, it helps save cleaning time - so much less soap mess. 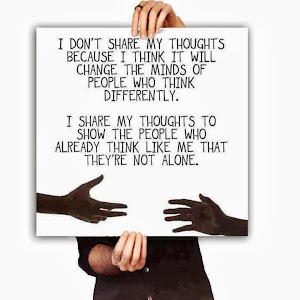 Keep coming up with helpful blogs, this was great. I am glad you find it useful! Thank you for your feedback!